Today's Deal of the Day at RPGNow is Feast of the Preserver by +David Fisher for the DCC RPG. 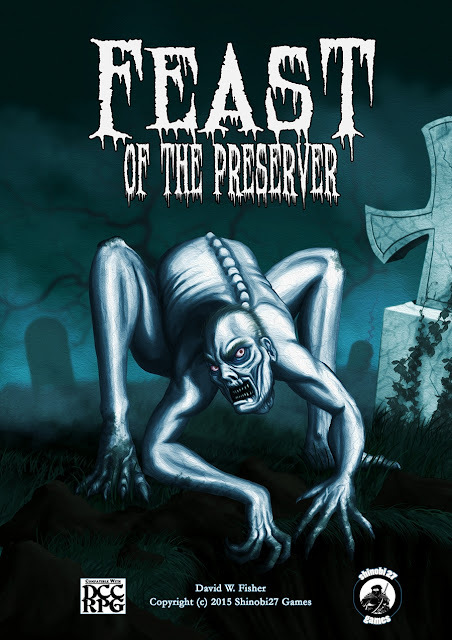 If you are looking for a product that is more than a simple adventure with enough hooks to keep your party of adventurers engaged for more than a single session, Feast of the Preserver is a solid choice. The fact that its on sale makes that choice even easier. As I've mentioned before, I freely borrow and convert from DCC RPG adventures to Swords & Wizardry. This will be no exception. Thanks for the promo, Erik! I look forward to checking it out in the am.